Coming up with a domain name can be the most fun/stressful part of creating a blog. My advice: don’t get hung up on the “perfect name” – you can always change it later on. Brainstorm some ideas and then head on over to Bluehost to see if your name is available by entering it into the box that looks like this. Now, you’ll need to host your domain. 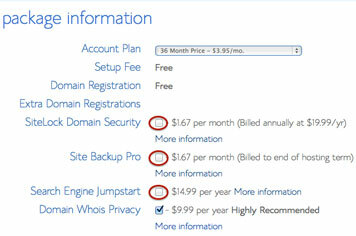 Bluehost has great hosting rates and if you purchase hosting through them, you get the domain name for free. Here’s a screenshot of what I use for package settings for myheartbeets – it gives me the best rate. They also have a great cancellation policy, so if I ever wanted to switch hosts, I can cancel at any time. The Domain Whois Privacy shields my personal address and phone number from being displayed to the public. Once you’ve signed up with Bluehost, you’ll need to install WordPress. WordPress is one of the best blogging softwares out there – it’s what I use for myheartbeets. Installing WordPress is very easy – you can always call Bluehost and have them walk you through the process if you have any trouble – but try my directions first. 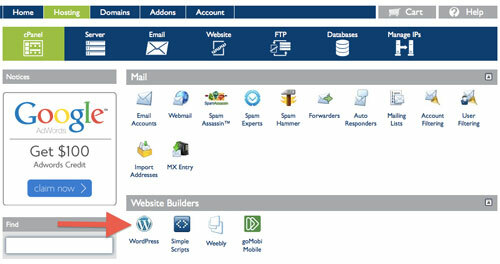 To install WordPress, login to Bluehost and click the “Hosting” tab (it’s in green below). Look under “Website Builders” then click on on the WordPress logo. 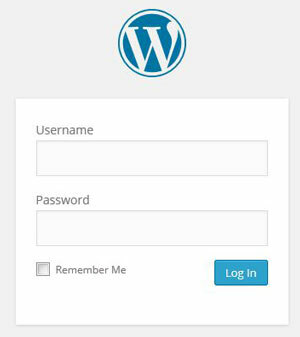 Once you finish installing WordPress, write down the Login URL, Username, and Password. You can change these later but you’ll need them for when you first login. You’re done – you’ve set up your new blog! Congratulations 🙂 Now, you can either start blogging away or… you can make it pretty. You have your blog – now, let’s dress it up! You can certainly use a free theme from WordPress but I suggest using WordPress + The Genesis Framework + A Child Theme. The Genesis Framework is basically a super-theme (premium theme). A child theme sits on top of this premium theme. The reason that I suggest The Genesis Framework is because whenever it’s time to update your blog – you won’t lose any of the custom work that you do to your website. In keeping with the car analogy – you can essentially update the body of your car without losing that sweet custom paint job you’ve worked so hard on. Also, it’s search-engine optimized and responsive (if you don’t know what those mean, don’t worry – just trust me). Or check out one of the many other Studiopress themes that are out there. Once you pick your theme, you’ll need to follow the specific directions that come with it. I didn’t start myheartbeets to make money… truthfully, I thought I’d consider myself a success if I could just pay off my monthly hosting fee. Less than a year into blogging, I’m making a part-time income, which is pretty neat – but I definitely wouldn’t say I’m in the black. I spend wayyyyy more on this blog than what I make in return. I have a full-time job and while I consider my blog a business, it’s still just for fun (though I plan to do this full-time one day…). If you’re looking for some monetization tips, I’d suggest checking out this eBook. Also, I think Food Blogger Pro is a great resource for anyone interested in starting a food blog. They have tons of videos that walk you through all aspects of blogging, creating an eBook, photography, etc. You can learn more about them here. Sherry, that’s awesome!! Lovely website 🙂 Good luck with the blog!! Thank you so much for your story!! The theme you chose for your own blog doesn’t seem to be supported anymore, is that correct? At least the demo wasn’t available when I checked. The most useful part of any food blog for me, is to have massive filter options when looking for suitable recipes, just like your blog has. Did the Crave theme come with this feature or is this a plugin? Apart from that I would have chosen the foodie pro theme, that you also mention… But I really want/need those filter options!! Thanks for the Post, it helped me a lot. Only call out is the ‘Domain Name’ can be changed only within three days of purchase from Bluehost. Glad you found it helpful, Haritha 🙂 Good luck with your new blog! Hi! I love your blogs and especially this blog. I happen to be starting one of my own along with relaunching my website. Is your advice here basically what companies like Wix and weebly will do for a larger fee? Thanks?? Wordpress.com gives an option to get domain name hosting, then why should we use Bluehost? 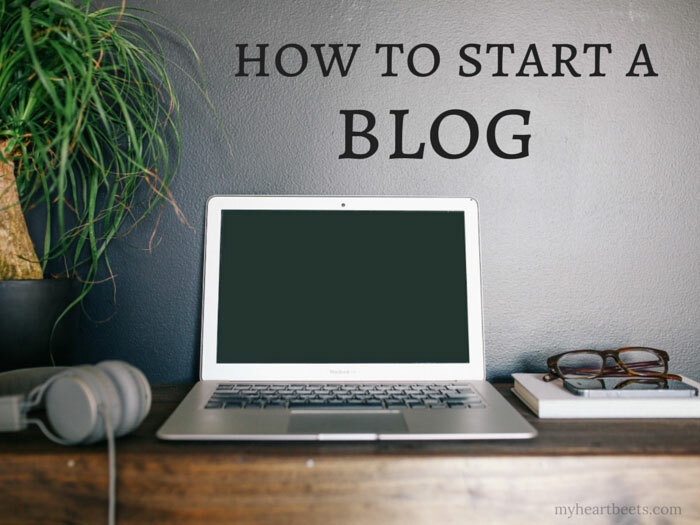 You can use any company for hosting 🙂 I used bluehost when I first started out and found it to be more affordable than most others out there which is why I suggest it to those who are new to blogging.